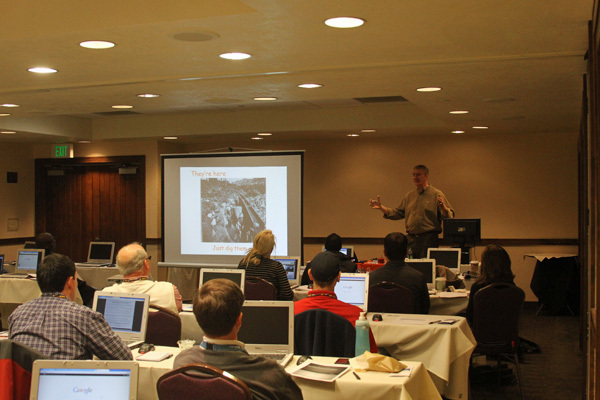 The Fourth Paraben Forensic Innovation Conference was November 5-9 in Park City, Utah. This is by far one of my favorite conferences of the year, because of the excellent content of the presentations and the extreme creativity of the Paraben Team. Plus, any conference that provides homemade sugar-free cookies as a speaker “thank you” is in a class act. The event began on November 5 with multiple boot camps for forensic investigators. November 6 included an advanced e-Discovery track taught by Quin Gregor of OrcaTec LLC. Quin taught for 4 hours, addressing technology to make identifying relevant ESI more effective and other advances in e-Discovery. 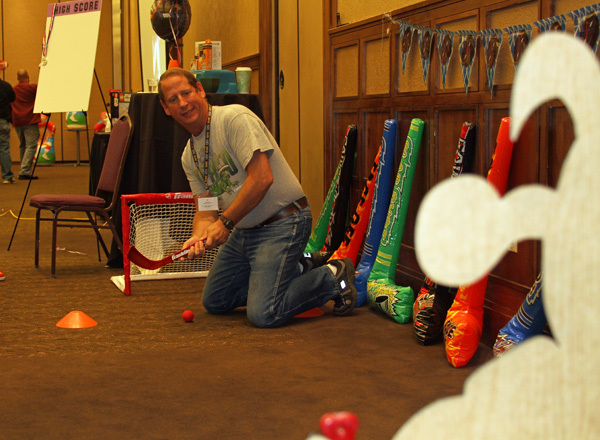 Sunday night PFIC hosted a casino night to raise funds for Hackers for Charity. Each year PFIC has raised money to help build a classroom in Africa. I was very happy to donate some raffle prizes from the Apple Company Store and honored PFIC gave my donation “First Prize” status. 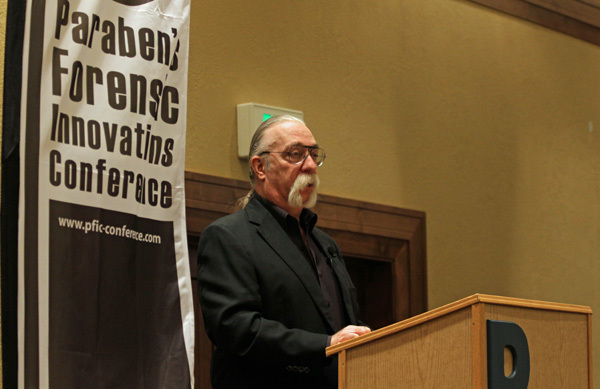 Jeff Baxter, formerly of Steely Dan and The Doobie Brothers, was the keynote speaker on November 7. In addition to being an amazing guitar player, Jeff is also an expert in missile defense and cyber-terrorism. Don’t be fooled by the ponytail, his top secret clearance is rather impressive. Baxter’s keynote was extremely enthralling on national defense, creativity and the intersection of problem solving between musicians and physicists. I presented two new seminars on search terms and advanced e-Discovery. Both of my sessions were well attended with timely questions on search and solving e-Discovery challenges. I enjoy PFIC because of the amazing attendees. Questions are thoughtful and geared toward problem solving. Moreover, the time of the show allows for healthy networking and getting to know other attendees. Amber Schroader, CEO of Paraben, is already planning PFIC 2012. Amber announced a new hands-on boot camp next year, which will include attendees being given an e-Discovery fact pattern, conducting an investigation with the products they select and presenting their findings in a mock hearing. While still in the very early planning stages, I will suggest having a civil and criminal track, inviting attorneys to participate in the process and invite local judges to assist with the mock hearings. The educational opportunity for every professional from collection expert to judge to get hands-on practice with an electronic discovery cases would certainly be a great learning experience. Once again, I congratulate the Paraben team for hosting another wonderful conference. Disclosure: I was asked to help plan an e-Discovery track for next year’s PFIC.